Israel is being represented at Prowein by only three wineries, but these three wineries have interestingly combined together under the title ‘North Of Israel’. It is a far cry from the 1990’s and early 2000’s when the Israeli stand at major wine exhibitions would feature many more of the large wineries. However since then, international wine exhibitions have become out of favor and wineries would rather save the money for other things. We already have the Judean Hills Quartet, so a name like the ‘Northern Israel Trio’ seems appropriate. The Northern Israel grouping represents the Galilee and Golan Heights appellations. 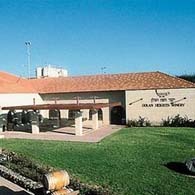 The three wineries in this group are the Golan Heights Winery (from the Golan) and both Galil Mountain and Recanati Winery (representing the Galilee.) 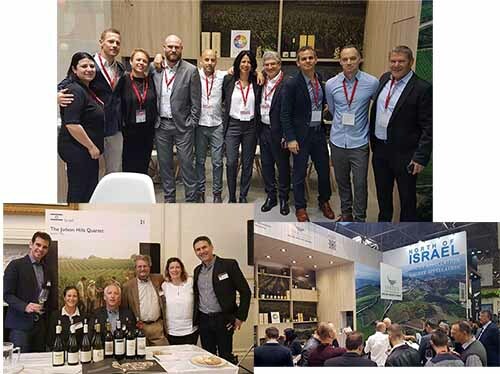 They have formed a group being the remaining wineries prepared to combine together in a stand at Prowein and they have chosen the Northern Israel slogan as the factor that unifies them. Any group, constellation or consortium that advances Brand Israel should be commended and encouraged. It is clear that the most important brand in Israeli wine is……Israel. This is obviously far more important than Yarden, Carmel, Castel, Barkan and all of the Israeli wine brands put together. It is a real problem that the Israeli wine as an industry as a whole, has not worked well together to advance Brand Israel over the years. In 2003 Handcrafted Wines of Israel was founded. This was the first time Israeli wineries worked together to advance the brand. Since then, there has regrettably been nothing on a national basis….. even though there has been a ‘Wines of Lebanon’ and ‘Wines of Turkey’ from Israel’s Eastern Mediterranean neighbours. There are other groupings of Israeli wines that exist today. The largest is the IWPA, which has been gathered together by an importer distributor and it is mainly sales orientated. The initials stand for the Israel Wine Producers Association. It is a group of thirty Israeli wineries imported by Royal Wine Corporation into the USA. The grouping includes some of Israel’s largest wineries including Barkan-Segal, Carmel, Teperberg, Tabor and Binyamina and some of the best smaller wineries such as Castel, Flam, Yatir, Tulip, Matar, Shilo and Psagot. Royal Wine and its sister company in the UK, Kedem Europe, are the largest importers and distributors of Israeli wine in the world. A small, more image associated consortium, is the Judean Hills Quartet. It is a group of four wineries formed with the objective of advancing the Judean Hills as a quality wine region. 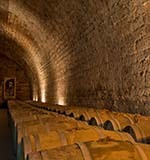 The wineries involved are Castel, Tzora, Flam and Sphera. They have held prestigious tastings in several capitals of the world and represented Israel at the Decanter Fine Wine Show last year. They are high profile and have succeeded to attract attention of several wine critics that would not otherwise pay much attention to Israel. There are exciting signs that Israel may soon launch its own Wines of Israel campaign, which is organized by the Israel Export Institute. If so, it is long overdue, but will be a cause of celebration nonetheless. It will focus on the United States of America, Israel’s number one export market and the one with the largest potential for Israel. Whether the ‘North of Israel’ trio, the Judean Hills Quartet, the USA based IWPA or the initiative by the Export Institute, they are all important and there is room for all initiatives to market Brand Israel to the World of Wine.